I have been a tutor, a homeschool teacher and a classroom teacher for more than 25 years and have the privilege of teaching and helping many students from elementary to high school excel in their academics. My favorite subjects to teach are Math, English and Mandarin. I can also coach on SAT and ACT as I have helped my oldest daughter get a pretty high score for her ACT and her SAT. I enjoy my job as a tutor because I truly enjoy helping the students reach their goals. 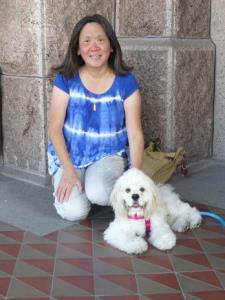 I can teach Chinese from elementary to intermediate level (junior high). I have studied Chinese up to my Associate Degree. 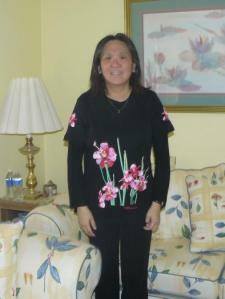 I have 25 years of teaching experience and I have taught ESL in Taiwan, Singapore and Arlington, TX. I have taught in schools, tutored many students and also homeschooled our daughters. I have taught ESL to students from Taiwan, Japan, Korea and Egypt. I would teaching English to foreign students. I have an associate degree in education. I have taught as a substitute teacher in a public school from level K to 6th and I have tutored students in all subjects up to 12th grade. I have homeschooled our 2 daughters for the past 10 years. I have more than 25 years of teaching experience. Elementary Math is a matter of understanding basic number patterns. Once you understand those patterns, you can solve most of the problems with ease. I grew up loving Math because I come from a family of engineers. My brothers love Math and they taught me a lot, although I did not pursue engineering but teaching. Adding, Subtracting, Multiplying and Dividing are the basic skills in Elementary Math. It applies to single digit, 2, 3, 4, etc digit numbers and fractions and decimals. Once the rules and steps are understood and memorized, then you will see how Math is easy and yet so intricate. I have years of experience in teaching phonics to many students and also our own children. Once you get the phonics down, you can start to sounding out words and reading. Reading is the foundation to all learning and without learning the skills of how to read, it would be difficult to make out how words should sound. It is a form of communication between the writer and reader and knowing how to read is such a key to all knowledge. First of all, there are the 44 basic phonic sounds to the English alphabet, followed by blends, dipthongs, digraphs, etc. Then there are the sight words and some words do not follow the same rules. So, the child needs to be taught how to read 'ph' like an 'f', and 'g' has 2 sounds, a 'g' as in 'gurgle' and a 'j' as in 'gauge'. I use a specialized set of books to teach Reading, combined with Emergent Readers and then Graded Readers. The child will naturally want to read more and more books and finally novels or chapter books. I have taught many children how to read with great success. Study Skills are very necessary for academic success in education. There many different study skills. For memorizing, we can do rote learning, reading over notes and rewriting. We can also use acronyms and mnemonics to memorize different Math and Science rules. For example, "Please Excuse My Dear Aunt Sally" for the steps of Math operations. Then there is the use of study outlines like tree structures, spider diagrams, mind map to link concepts together. With outlines, the child can learn to summarize his materials for key points in the information. Another very helpful study style which I like using is the visual imagery where the child draws diagrams or pictures as they read the material to guide their understanding. This is great for visual learners. Besides these methods, the child can also use the preview, question, read, study and test method, where he or she could write out questions from the headings of the topic and follow the steps to write out questions, read to find the information and so forth. The overall study skill that is a foundation for good study habits are time management, motivation, avoiding procrastination, sleep, good diet and exercise. Different children have different learning styles as some are more kinesthetic, visual, audio and oral to varying degrees. As I observe the child and study their learning styles, I would be more able to trim and tailor the material to suit the child's needs. As most education philosophers believe that the best is to use all the senses to teach a child the material whether it may be Reading, Math or Science. With more than 25 years of teaching experience, I have been using these different methods to help my students be successful in his or her education pursuits. Algebra 1 is where you learn how to solve linear equations, graphing, writing equations given 2 points, exponents and exponential functions, graphing quadratic functions, solving polynomial equations in factored forms, rational equations and functions, Radicals and connections to Geometry, and the use of variables to solve equations. Ting is just the kind of teacher I was looking for. She is patient, caring, reliable and dedicated. She is very knowledgeable and is teaching my son some really great new ways to solve math problems. She is perhaps one of the best math tutors around. It feels great to know your child is in good hands and with a really dedicated teacher/tutor. Has a plan to improve. She is Very organized and she has a plan to improve the students. My son has issues in focusing but she can help him to get his attention. My son had one session with her and he told me he feels improving. Thank you, Dina, for your kind reviews and feedback. I appreciate you taking time to write this review. I enjoy tutoring your son as he is keen and eager to learn. My son has been going to Mrs. Ting for approximately 9 months I can see a huge improvement in his attitude towards school and his grades. Mrs Ting makes learning fun by coming up with creative ways for my son to grasp concepts that he may struggle with and enjoy learning . I also love that she focuses on preparing my son for new concepts that he will learn at school. 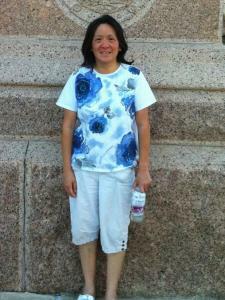 If you need a tutor that cares about your child and is able to cover all subjects I would highly recommend Mrs.Ting. Ting is very thorough and patient with her student. My son actually looks forward to his sessions with her. Great progress & my daughter really enjoys her tutoring time. She's doing great. Can't wait until my baby reads her 1st book by herself. Mrs Ting is doing great to get her to that point. Thank you, Jennifer, for your kind comments and words. I can't wait to see Brooky read her 1st book, too!! She has made some amazing progress and it has been great working with her. She is bright and intelligent and I know she will do very well in her academics. Ting is a splendid teacher. My 13 year old son has improved in reading, vocabulary, and writing by leaps and bounds. She is very pace oriented. She offers a variety of fun and educational lessons. She is very lively and draws the student in to the lesson. Since my son has started tutoring with Mrs. Ting he has made great progress with his reading. He is has begun reading small books in less than two weeks of tutoring. I am very happy with the tutoring and his progression in reading. My daughter was very excited with her first lesson and is looking forward to her next meeting. She is very happy with her tutor. She hope Mrs. Ting will help her get on Honor at end of school year!!! She very happy!!! Excellent job Mrs. Ting! Thanks for fitting her in your lesson plan.